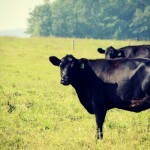 On our farm, we have a 100 acres of grazing land which is carefully managed using Rotational Grazing techniques and Holistic Management practices. When I was 15, I bought my first cows from dad; and in 2011, we were able to acquire a complete registered Black Angus herd. It’s from these cows that Blackview brings you the best in Grass Fed and Grass Finished beef. Calves are born in May and are grazed alongside their moms for another 24-30 months. All our animals ever eat is grass and high quality hay. We pay close attention to the pasture, genetics and the seasons; all of which play an important roll in Grass Finishing. A high quality, grass finished beef is only available when you orchestrate together the seasons, the grass growth and animal movement; accompanied by the age and genetic make up of the animal. For this reason, rotational grazing and animal impact on the fields, play an important role in properly finishing beef. Rotational Grazing is when you graze a section of pasture for a short time, only to move the cattle to a new one, to let the previously grazed pasture rest, adsorb nutrients and re-boot. 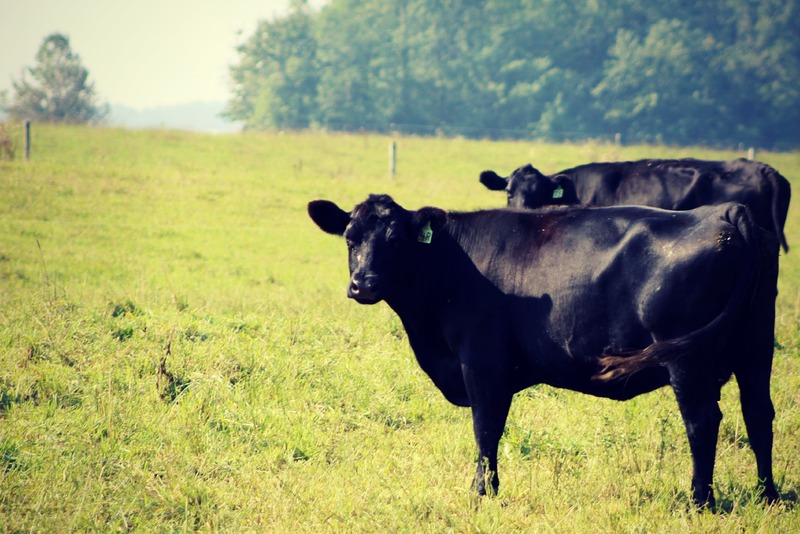 The promise of rotational grazing is that it ensures the freshest grass, the highest Brix content, a clean, and healthy atmosphere is available to our animals. Rotational grazing also encourages wildlife to flourish, as it promotes “at risk” bird species, such as the Bobolink, to nest within the tall grasses. The edges of our farm were recently planted with thousands of spruce, maple and a variety of nut trees that will be used as windbreaks. Trees and longstanding pastureland aid with the problem of wind erosion, as well as create a habitat for wildlife. We believe in leaving the land better than when we found it. As the cows rotate through the pastures and work their way to becoming “finished”, we also rotate a variety of poultry behind them. In nature, birds have always flocked around a herd of herbivores – they “disinfect” the fields by eating the bugs and adding manure to the ground. You will also find heritage pigs here – grazing the pastures by summer and feasting on apples by fall. It is very important to allow the pigs to express their “pigness” and manage them outdoors. Pork takes on “notes” from the food they eat – their diet translates into what you taste. Our pigs are supplemented with non-gmo grains but are given free choice pasture to roam and eat; as well as apples and nuts as the natural feed intake. We invite everyone to taste and enjoy the produce themselves, hoping that you inherit a sense of the place where our animals are raised and cared for. Whether you’re a neighbour, a bustling restaurant or an online order buyer; we thank you for the support as we continue to work towards perfecting the art of Grass Fed.